Your patients need support for joint pain, neuropathy, muscle aches and more. They need a truly transdermal topical, and a supplement proven to work. EFAC is both. 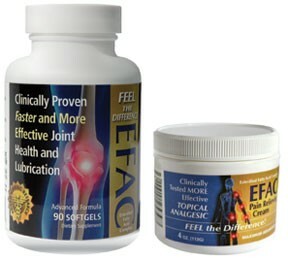 Clinically proven topically and used as a supplement, EFAC products provide the unprecedented results they want. 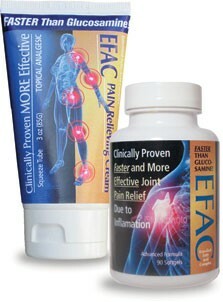 Fast acting, clinically proven, EFAC Pain Cream and Capsules.